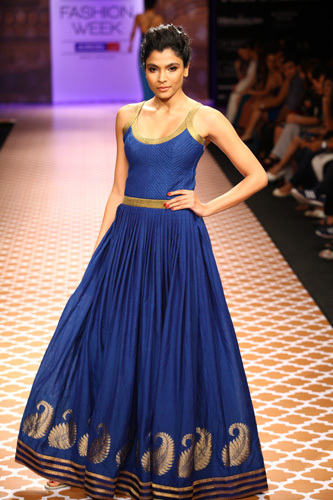 Lakme Fashion Week Winter/Festive 2012 started in Mumbai on the 3rd August, 2012 and loads of excitement was in the air. Audiences were curious to see what their favorite designers have in store for them. The new talents were the ones who left an impression on our minds for they brought in fresh ideas and designs. 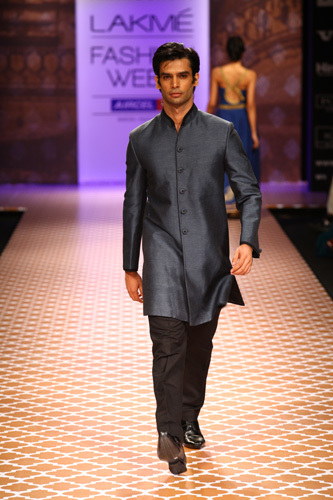 Also this time around many designers opted for traditional weaves from Indian textiles. ‘Borrow it Bindaas’ lists out few style trends that will make it big this upcoming festive season. Silver & Golden gotta patti was used extensively by many designers in their creations. 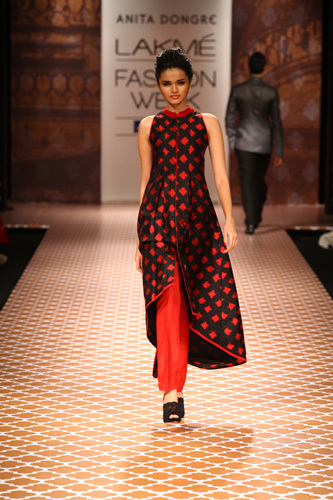 Gotta was used in embroidery, on the hemlines of a kurta & the border of a Saree/Lehenga. You can add new look to your dupatta by adding silver gotta border or revive an old saree with some golden gotta. This style would never go out of fashion for sure. This season many designers surprised us with the use of a lot of Brocade. They paired the print in completely different ways, styled as a skirt or as a printed jacked. This print is a classic and adds a touch of regal-ness to any outfit. This season designers proved that giving a bit of emphasis to the sleeve made a whole lot of difference to the look of the entire ensemble. Bell sleeves, lotus petals, sequin work & gemstone studded sleeves were the highlight of many collections. 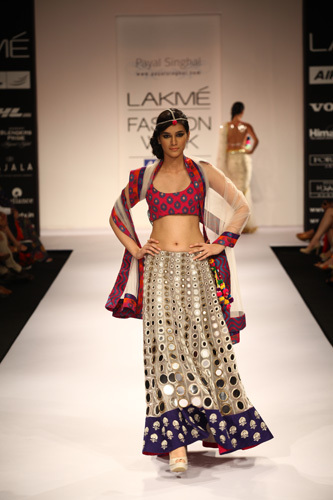 Long sleeve blouses with embroidery on the cuffs were paired with plain sarees, the look was truly magnificent. Belts are huge fashion accessories this festive season. The fun part is that they are not just restricted to western wear only. Designers have created belts out of zari to be worn with Indian wear too. Remember to purchase different kinds of belts to pair and create a new look with our outfits. 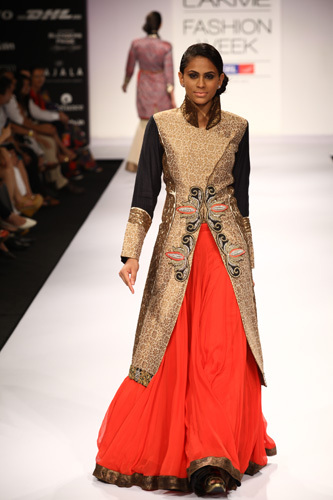 Here are some more looks from Lakme Fashion Week Winter/Festive 2012 that we can’t wait to get our hands on!